My mother actually came to visit from California for Mother’s Day and we headed to Lawrenceville, NJ to visit with some dear friends that we haven’t seen for quite some time. 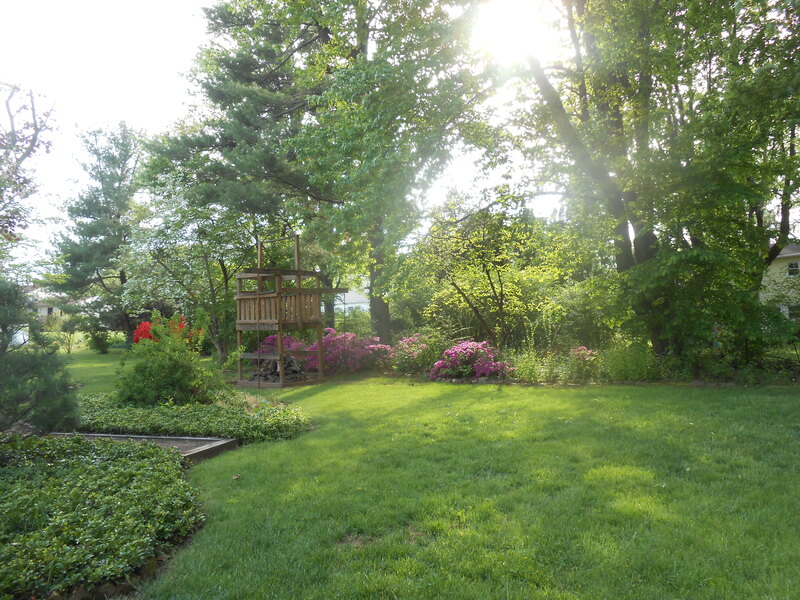 We stayed at my childhood friends’ parents’ house, which brought back some wonderful memories. 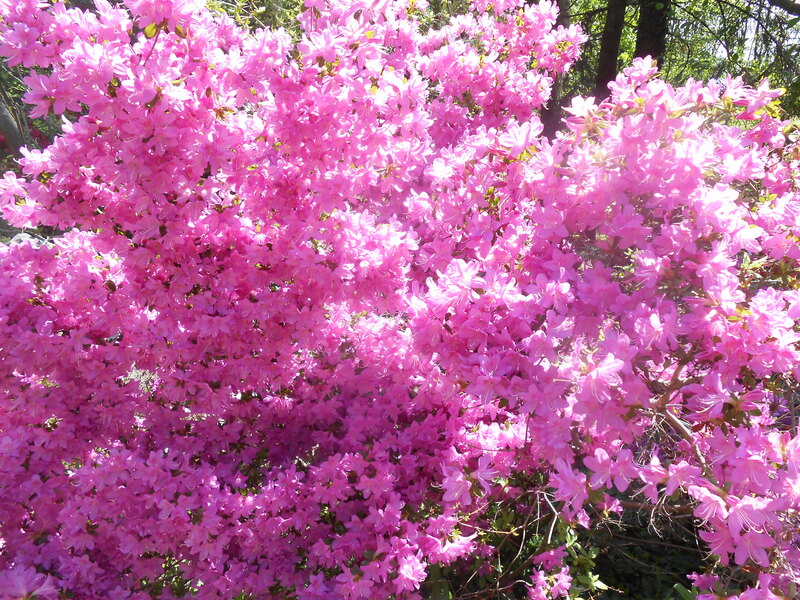 We had some tea and homemade pastries, then walked around the backyard garden which was filled with pink, red, white, purple azaleas and a dozen other beautiful plants and flowers. 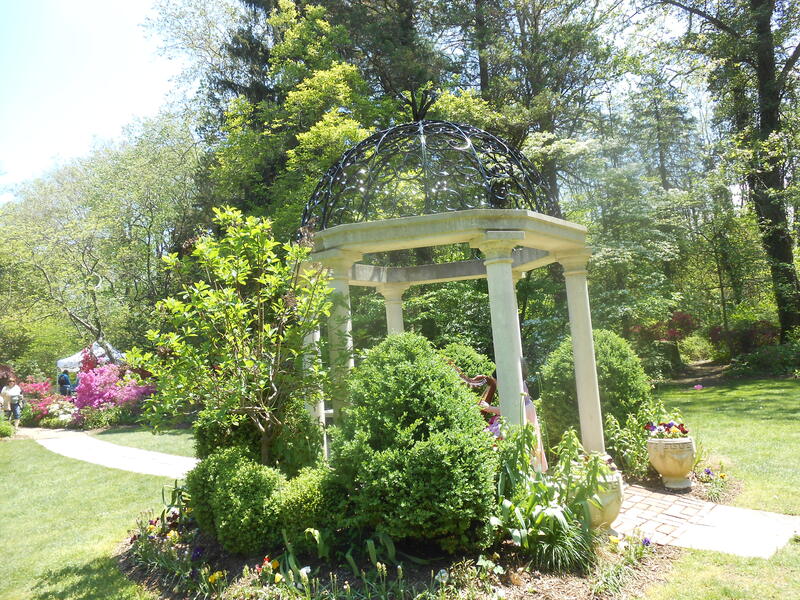 It was truly an idyllic scene, especially with the sunlight streaming in. After touring the outer loveliness of the house, we went back in for raw vegetable appetizers, then shared a meal of pasta, pork, and salad. We headed to downtown Princeton next and enjoyed some ice cream from Thomas’ Sweets. 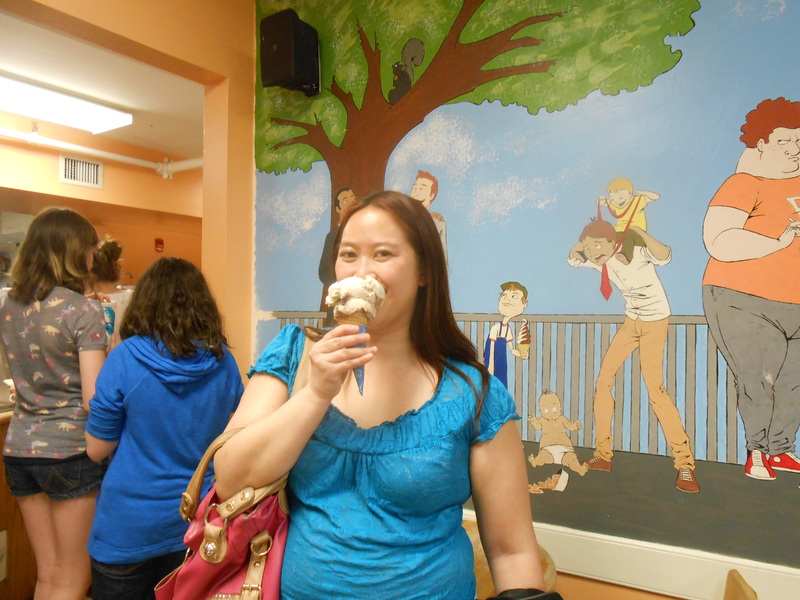 I had maple walnut and peanut butter fudge flavors in a sugar cone, and the ice cream tasted divine. The maple walnut was sweet but in subtle way and the peanut butter fudge was rich, creamy, delicious. The flavors blended well together. 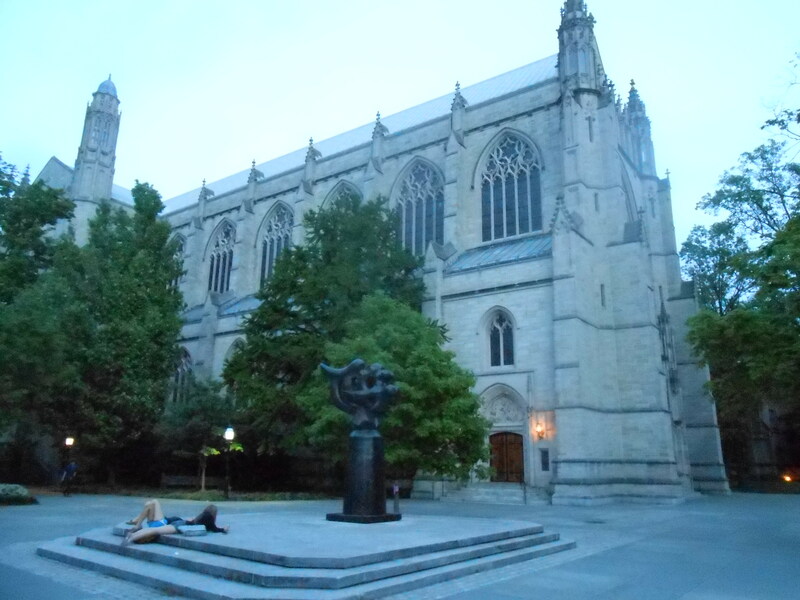 We then strolled around Princeton University for a bit, checking out the Museum, library, chapel, different halls, and enjoying the beauty of the prestigious ivy league campus. My mom and I headed to another friends’ home for lunch. It was lovely to see them and catch up after so many years. We had quiche, salad, grapes and yummy cookies. Back at our other friends’ place, my childhood friend had come for the day and brought her two adorable children that I got to meet for the first time. Stella (3 years old) was shy at first, but so pretty, talkative and smart! 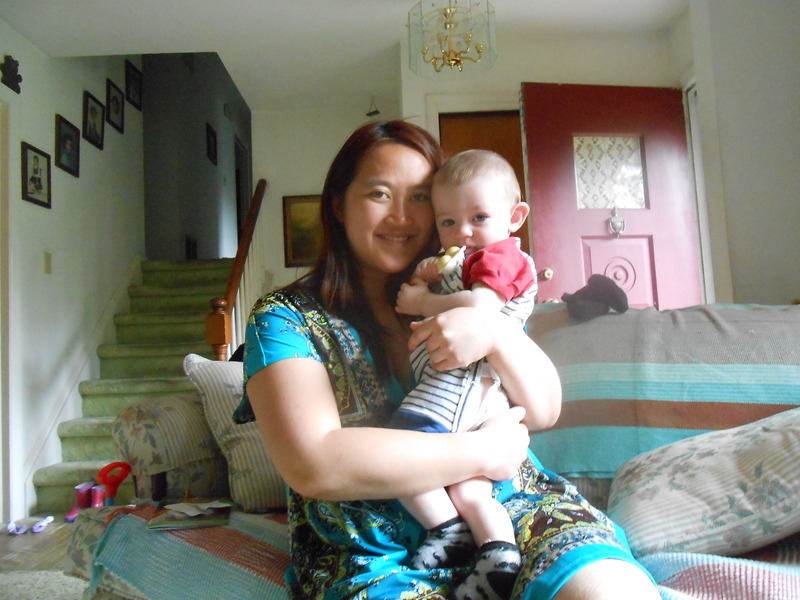 And I loved holding little Lukas (7 months), who has such a pleasant sweet disposition and the cutest little features! When the kids went down for a nap, my friend took my mom and me to downtown Princeton where we shopped at Talbots (had $160 gift card from “Katie Couric Show”), as part of my mom’s Mother’s Day gift. 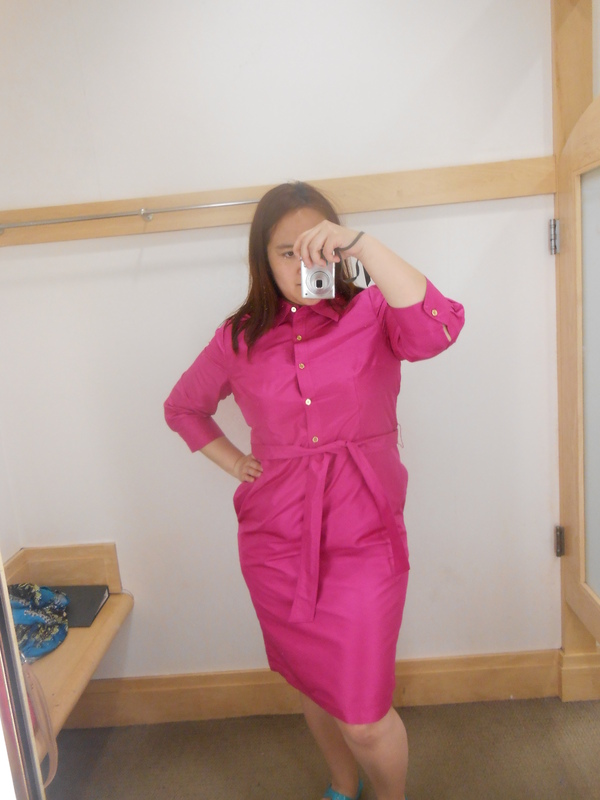 She ended up picking a pale pink sweater button down and I picked out a hot pink sweater button down. I tried on a hot pink dress that I did enjoy but the $100+ price tag deterred me from getting it because I wanted my mom to have the rest of the money on the gift card. 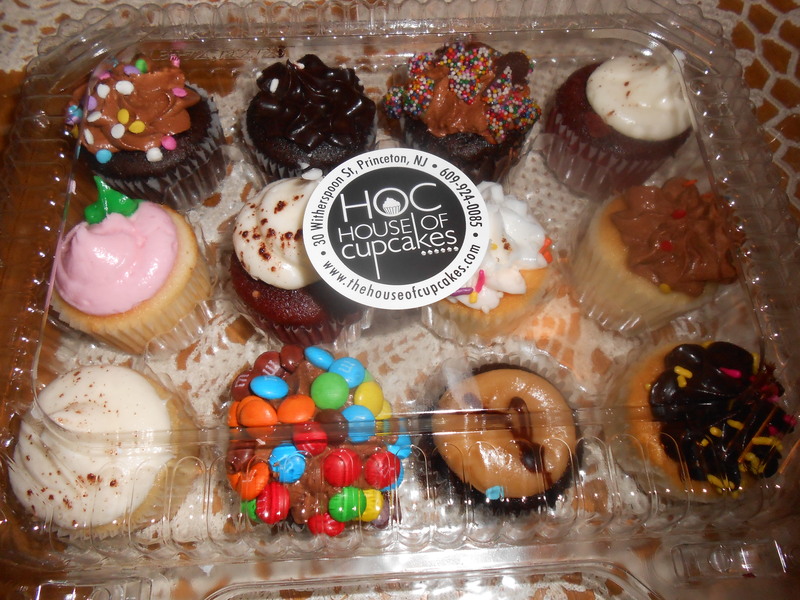 We also got free samples at Origins (Zero Oil Cleanser & Modern Friction Scrub) and award-winning mini cupcakes from House of Cupcakes- They won the Food Network’s “Cupcake Wars!” They were absolutely little bites of heaven… Perfectly moist and sweet. 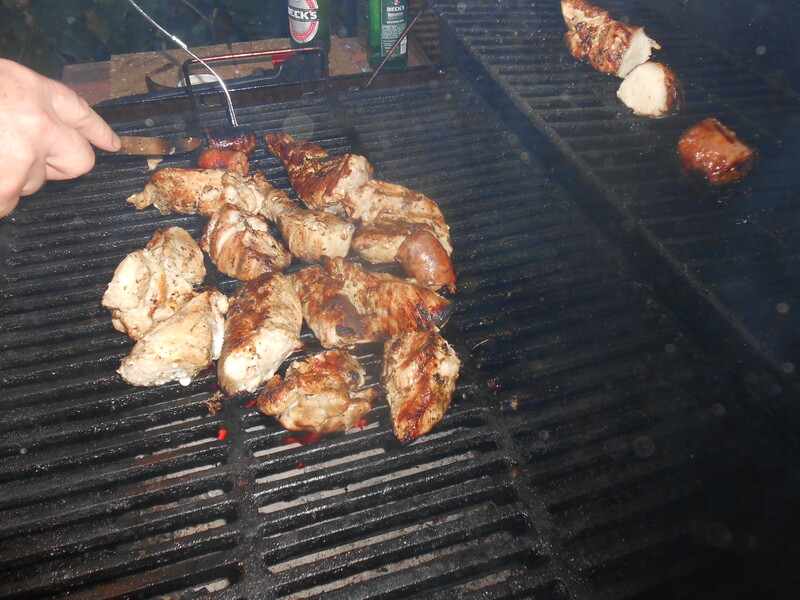 We went back to the house after that and hung out outside while we grilled some chicken and sausage, which made for a very tasty dinner. 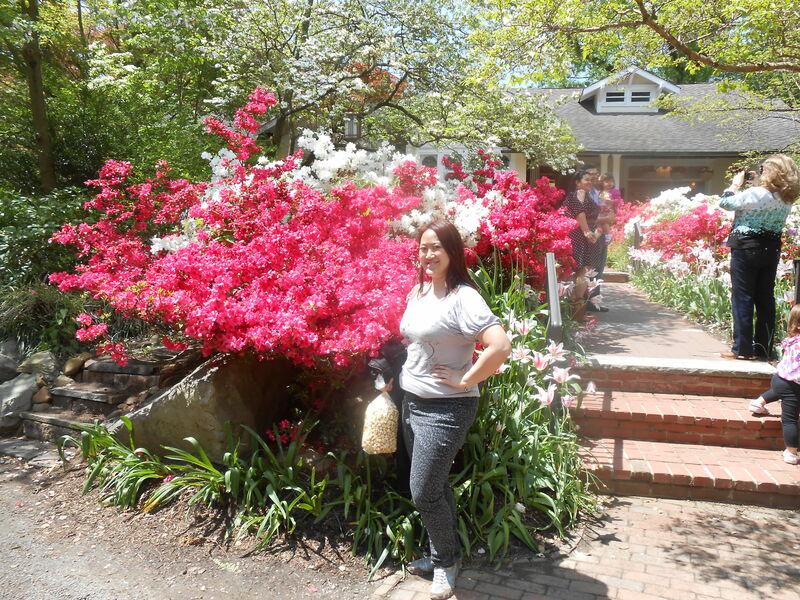 It was beautiful out today, so we could finally go to the gardens. I got to ride on the back of a Harley on the way there, which was a ton of fun. We then walked through the fair that was near the gardens. 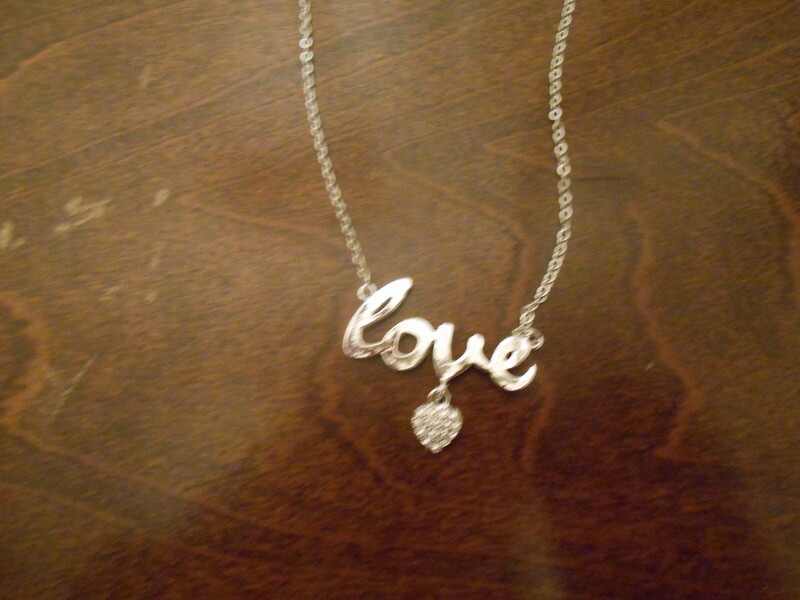 I found a gorgeous silver necklace that spelled out LOVE in cursive with a glittering heart dangling from the words. I also got some kettle corn to share with everyone. Of course it was delicious and oh so very addicting! 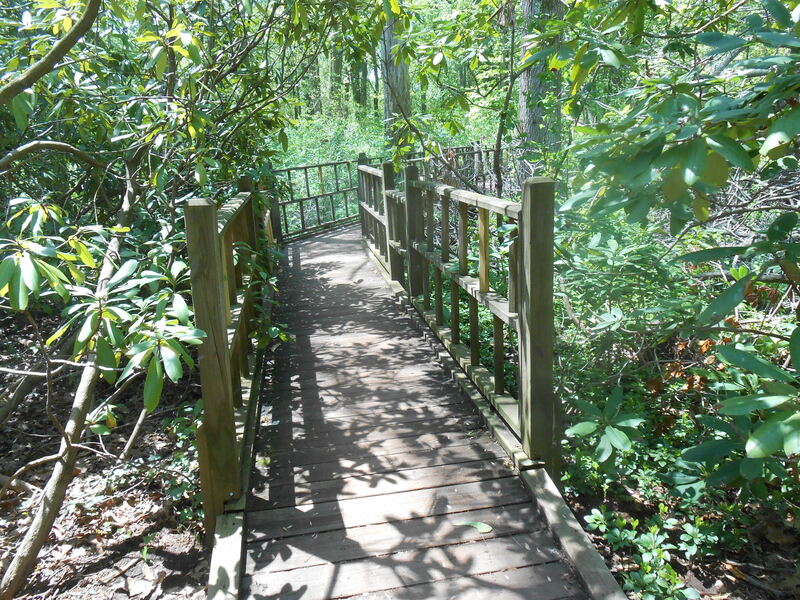 The gardens were lovely as we walked along paths, bodies of water, bridges, and came across flowers, trees, plants, greenery. After the trip to the gardens we headed out to a place across the Delaware River, called Dilly’s Corner that has burgers, french fries, soft serve ice cream. There was a long line when we got there and the food was mediocre. Though the curly fries were quite delicious. I just wish I could’ve tried a shake or some of that soft serve ice cream. All in all, a wonderful time spent with great friends. The only downside was that the weekend went by way too quickly!